These Terms and Conditions are treated as an agreement between the Baradene Art Show Committee and the Exhibitor. In completing the Artist Registration, the Artist shall be bound by these Terms and Conditions. a) Artist Registration is by invitation only – which will include a link to online registration. All artists must provide a personal bio of not more than 150 words. Your bio, including photographs of your art may be used in promotion of your art and our exhibition in our advertising, online and in social media unless directed otherwise in writing at the time of Artist Registration. b) Should you wish to attend our Gala Preview Evening to be avaialble to talk to guests about your work, one complimentary (non-transferable) ticket will be available to you for this purpose. a) An Artist registration fee of $35.00 including GST is payable prior to completion of Artist Registration referred to above. This fee covers associated administration costs. b) The Baradene Art Show will receive 37% including GST of all art sales made during the exhibition or ordered as a result of the exhibition (Commission). When pricing your work, please submit the retail price taking this commission into consideration. a) Hung artworks are generally limited to 3 per artist (paintings to be a maximum of 1.2m x 1.2m) and quantities other works including ceramics, glass art, and sculpture are by mutual negotiation. b) Art must be current and not include works previously exhibited at the Baradene Art Show. It must also be in excellent condition. c) Should artwork appear damaged or marked at time of delivery, the Baradene Art Show Committee will contact the Exhibitor to discuss further action. d) Any artwork determined by the Baradene Art Show Committee not suitable for exhibition will not be displayed. 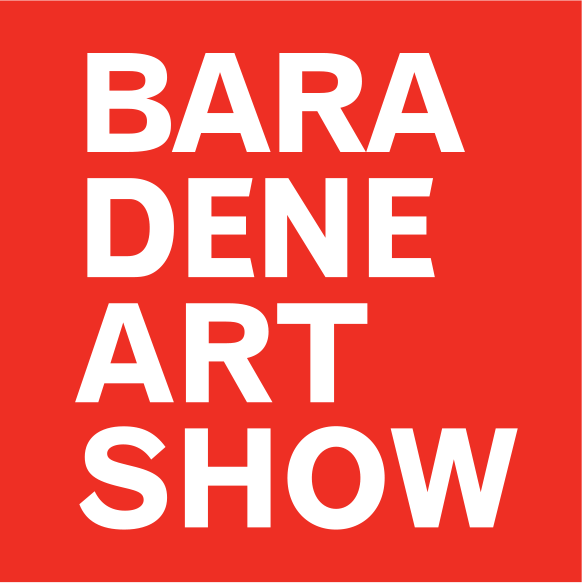 The decision of the Baradene Art Show Committee is final. e) Any artworks deemed unsuitable for display will be returned to the Artist at the Artist’s expense. f) All decisions regarding the hanging/display of artworks, will be made by the Baradene Art Show Committee and their decision shall be final. a) It is the Artist’s responsibility to ensure the details of their registered art is correct at time of delivery including title, medium and price (including Commission, and GST if applicable) as these details will be transferred directly to our price labels. Although every care will be taken to ensure these details are correct, the Baradene Art Show will not accept responsibility for any details provided by the Artist incorrectly. b) The dimensions of each work is at the discretion of the artist, however inclusion of any works over 1.2m x 1.2m must be by prior approval from the Baradene Art Show Committee. c) Details and images of your works as well as your artist biography, will be included on our Art Show website and can be uploaded by you the Artist at any time from registration until 2 weeks before the show. Artists wishing to have an image of their work included in printed promotional material such as the marketing catalogue, must upload this image and details of the work, by date outlined at time of registrastion. NB: Please ensure that you only send images of work that you are submitting for sale at the art show - all submitted images and prices are final and must be honoured once they have gone to print. d) It is the artist’s responsibility to ensure that all works are ready for immediate display at time of delivery. a) It is the Artist’s responsibility to ensure that framing is suitable for immediate hanging. Please ensure that your work has suitable hanging loops attached to the reverse, ready to be hung on picture hanging hooks. b) Please ensure your artwork is dry and ready for immediate hanging. Please include any specific hanging instructions if applicable. Please ensure your artwork is ready for immediate display and include instructions for display if required. a) Artists living outside the Auckland area may wish to courier artworks prior to the exhibition. To allow for safe delivery, please ensure all couriered artworks are delivered within the school hours of 9am – 3pm. Couriered art must arrive by the date set out at time of registration. If you have couriered your artwork to Baradene Art Show, please ensure any specific instructions for repackaging and return address, (as well as return courier tickets - should the item be unsold and need to be returned to you) are included. Further instuctions for delivery will be sent closer to the time. b) Any unsold artworks to be returned to the Artist following the exhibition, will be done so at the Artist’s expense. c) All artworks must be delivered to Baradene College on date set out at time of registration between the hours of 9am and 5.30pm unless otherwise arranged. In person deliveries are via Gate 2, 237 Victoria Avenue, Remuera 1050.
d) The Artist agrees to collect any unsold artworks from Baradene College on SUNDAY (the last day of the show), from 5pm to 6pm. No artworks will be released prior to 5pm. a) Great care will be taken to handle, store and display all artworks received. If you have specific instructions for the handling of your artwork, please advise the Baradene Art Show Committee at the time of delivery. b) Insurance of artworks will be covered by Baradene College from Monday until Sunday of show week. It is the artist’s responsibility to ensure adequate insurance cover outside of these times, including transport insurance. c) A member of the Baradene Art Show Committee will contact the Artist prior to the end of the Art Show, should all their pieces be sold and they have NO artworks to collect.